Just had the greatest service with a technician named Scott. Absolutely, the best customer care and knowledge one could ask for. I sure hope he can come back for my bi-monthly service because my wife and I just think he’s the best knowledgeable customer friendly tech there is. EcoGen is the best. Check them out. 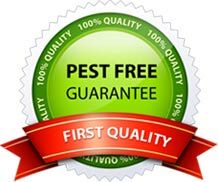 Very pleased with pest control service. Company is very prompt in returning phone calls; employees are pleasant, patient, answer questions and give complete explanations of what is going to be done and expected results. I would not hesitate to recommend Phil and EcoGen Pest Control. Really like this company and the person who came to service us today. Very professional and they know what they are doing. I would recommend them to anyone. They came out the same day service was ordered and did a wonderful job at a low price. The service was first class. EcoGen accommodated my schedule and was able to get me scheduled the next day after we spoke on the phone. They took time to explain every detail of the service. We look forward to continued service with them. The service man was very prompt; courteous & informative. I have found only dead pests outside of my house since the service; so it appears that he did the job correctly. 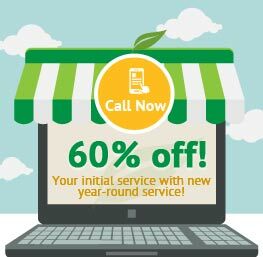 They were very professional and right to the point about pricing and details of their service offerings. The technician was very courteous, knowledgeable and accomodating. So far, I am very satisfied…and looking forward to the next service coming. The service technician was VERY polite, clean uniform, smiling and answered all questions. I would be happy to have him as our regular technician. Very knowledgeable and talked with me about my concerns before spraying. So far fantastic results and am looking forward to hassle free pest control all year. Owner contacted me on the weekend to setup Monday appointment. Manager was on time and did a thorough job of eliminating the bees. He also called to follow up on the situation.